Permission sets are used to define and assign different permissions to projects. 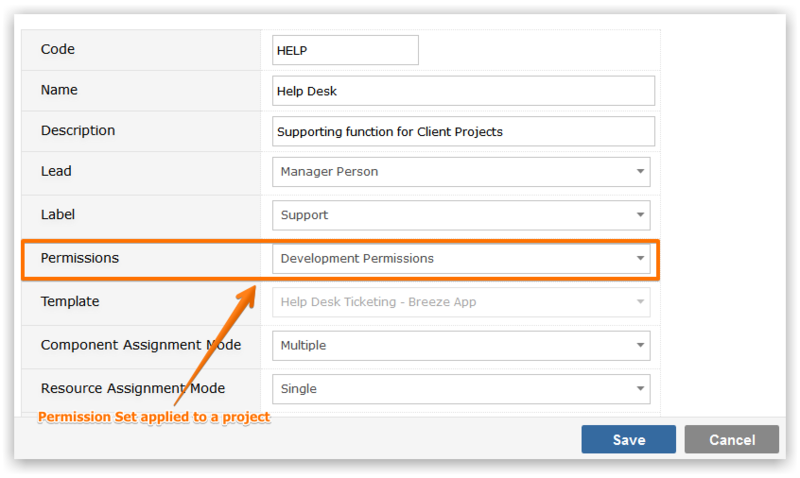 You can add, delete and assign permission sets to projects. When editing a project you can select which set of permissions are applied.